It’s Oscar time tonight! If all goes right, I’ll have seen all Best Picture nominees this year; the only one I’m still missing is Extremely Loud and Incredibly Close, and the plan is to see that in the cinema this afternoon. Besides the 9 Best Picture nominees I’ve tried to watch as many of the other movies with nominations, but there are still a couple I wish I had the chance to see. I won’t cover all those here though, just the 8 Best Picture noms that I saw. Plot: A silent movie star has to deal with the rise of talkies. Oh, and the movie is actually a silent black-and-white movie too. I thought this was going to be such a gimmicky movie, and it turned out it was. Only: I don’t care. 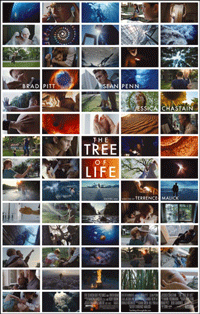 It’s beautifully shot, has a great (although somewhat predictable) story, and the characters are so likeable. 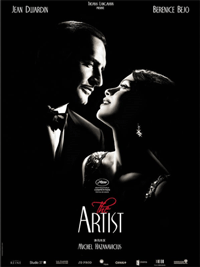 Jean Dujardin is charming as the silent movie star, and Berenice Bejo is so sweet and adorable as the bright young actress. It also made me actually want to watch more old movies! Plot: Hawaiian guy’s wife is in a coma. Guy finds out about secrets the wife had, while dealing with his kids and his family’s trust of 25,000 acres of land. 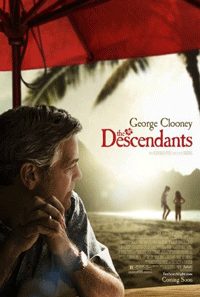 I did not like The Descendants. I can sort of see what people like about it, but it just wasn’t a movie for me at all. Yes, George Clooney is great as the troubled guy whose wife is in a coma, but George Clooney is great in almost everything he does. The plot is just slow and boring, and I came out of the movie feeling as if I just wasted two hours of my life. Plot: It’s 1960s, Mississippi. 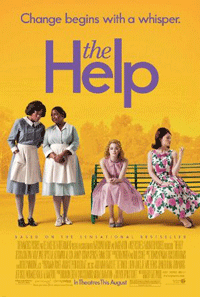 A young white woman tries to write a book about the perspective of the black maids working for her friends’ families. I really like the movies Emma Stone chooses lately. I loved Easy A and Crazy, Stupid, Love, and she’s one of the reasons I’m looking forward to The Amazing Spiderman. The trailer makes it seem like she’s the main character (and it makes it look like this is a upbeat cheesy chick flick, which it isn’t) and even though she’s great, this is really Viola Davis’ movie. She’s great as the quiet maid, who decides to share her story with this young optimistic journalist. Plot: The story of an orphaned boy living in a Paris railway station and the mysterious grumpy toy maker who works there. 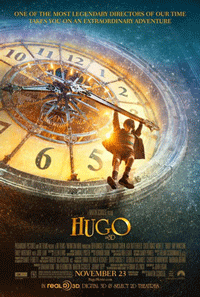 Hugo is I think one of my favourite movies of last year. It’s so much more than just a kids movie, which I wasn’t expecting. I should have, cause it is Martin Scorsese, but he can be a bit hit-and-miss for me lately (I really didn’t like Shutter Island, and fell asleep during The Departed). The movie is loosely based on some real life events and people, which I didn’t know before going into the movie, but afterwards I spent a couple of hours reading up on the history behind it and it’s a fascinating read. Plot: During a midnight stroll through Paris, a screenwriter ends up meeting his heroes. 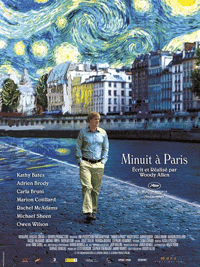 I loved Midnight in Paris! I don’t want to say too much about it and spoil certain stuff (although I’m not sure if it’s really spoiling if it happens that early on in a movie and actually is referred to in most summaries), cause I went into it completely blind and really enjoyed it. It’s just such a quirky and sort of romantic movie. 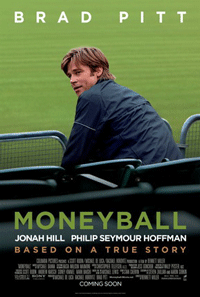 This was the movie I was least looking forward to, mainly cause I thought it was just another sports movie. It is, but it’s a sports movie with maths! And it’s very relevant to what I’m working on at the moment: they’re taking large sets of data and discovering useful, valuable patterns. Plot: Let me get back to you on that, I’m still not 100% sure what this was about. I finished watching this movie last night and I’m still not sure what I thought about it. It’s definitely a gorgeous movie, and for that alone I would recommend seeing it. The first hour though feels like a weird mashup of a nature documentary, a music video without the right music and an artsy stage monologue (“hack-y sack”, bonus points if you get my reference), with lots of “quiet” moments giving you time to reflect on what you just saw. After that first hour it feels a bit more linear, but there’s still that almost pretentious feeling of “this is a deep and profound movie, and you can interpret it however you want”. Plot: Boy meets horsy. WWII. 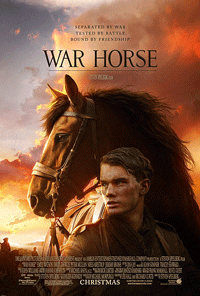 Horsy becomes War Horsy. War Horsy makes friends. I was really looking forward to this movie; I had heard so many good things about the play it’s based on and was expecting the movie to be great as well. There are apparently some people out there who thought this movie was great (otherwise it wouldn’t have been nominated), but I wasn’t that impressed by it. The entire first act with the boy and horse felt too sentimental, and we’re constantly told how “special” this horse is (without the horse having done anything yet). I did like most of the almost stand-alone type stories in the second act, even though they continue the “he’s a special horse” spiel. I didn’t completely hate the movie, but it just felt too soppy.